The recent kerfuffle with Microsoft Edge vs YouTube was particularly interesting since while I have no specific knowledge of that instance, I certainly do have some cultural insight from nearly eight years working inside the so-called Chocolate Factory – though not on any web stuff, to be clear, so my experience is in the broadest internal sense. Like everyone else last week, I was trying to determine how much intent or malice was behind Google’s actions, but with a marginally more informed perspective – or at least a relatively unusual one. Permit me to first provide some larger context, though. When I worked at Apple, back in ~2006-2010, I insisted on using Camino, because it was superior to Safari at the time (which, among other flaws, was particularly crashtastic in its early years – an attribute which thankfully is long gone, but has burned itself permanently into my emotional memory). That choice to not use Safari caused periodic issues because some Apple-operated websites wouldn’t work properly with anything but Safari. When I reported those issues internally, the typical response was “we only support Safari”. From the perspective of Apple, once they had their own web browser, that was all that mattered. Thankfully it wasn’t a huge issue since the web wasn’t that important to day-to-day work at Apple, as they used native applications for most things (sidenote: I still miss Radar… I didn’t miss Xcode for a long time, until I was forced more recently to use IntelliJ). And certainly the world outside Apple didn’t care about this cute little ‘Safari’ thing, at the time. My experience at Google was essentially the same. The vast majority of Google’s internal websites do not work properly in any browser except Chrome. This is a very real problem since it’s practically impossible to perform any job function at Google without using their internal websites heavily, since Google is so dogmatically opposed to native applications. Google has worked extremely hard to [try to] make it possible to do almost anything through Chrome (often to the point of absurdity). Ironically even Microsoft – whom I currently work for, via LinkedIn – are on the Chrome bandwagon, as some of their websites – that I am required to use for work – require Chrome. There is no web, there is only Chrome. This is, I believe, the crux of the matter in not just this Edge vs YouTube issue, but with web development broadly in space & time. The vast majority of web developers don’t create content for The Web, they create content for a browser. One browser, usually. I saw it unashamedly unfiltered inside Google, but it inevitably leaks out in time – through things like carelessly & needlessly crippling other browsers’ performance on YouTube. So, I’m actually sceptical that the YouTube team explicitly sabotaged Edge – rather, I think it’s just one of endless cases of web developers not really caring about The Web – ignorance & indifference, in other words, rather than [outright] malice. But just as caustic & dangerous. What particularly concerns me today is that it’s not quite the same as the terrible 90s and 00s. Then, when Internet Explorer dominated, the vast majority of important websites were not operated by Microsoft. Today, Google’s web properties are dominant in mindshare if not marketshare to the point of essentially being monopolies (certainly in the case of YouTube, at least) – way more than anything Microsoft ever did was. 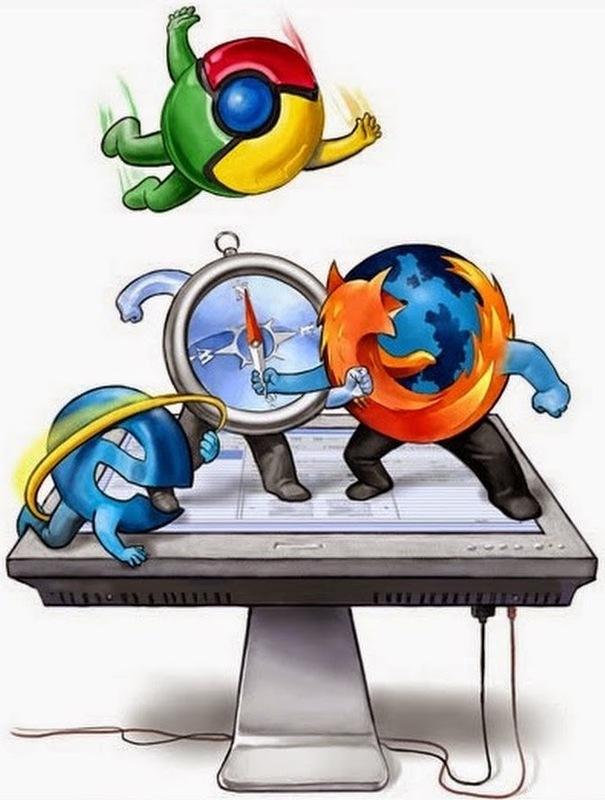 More to the point, 90s web developers chose to develop for Internet Explorer exclusively – they were not coerced into it for the most part, nor firmly bound to that choice, because their corporate masters did not have a horse in the browser race and were pragmatically & unemotionally going for audience reach. A meritocracy was possible, and existed to a degree, and was essential to the rise of Firefox, my nostalgic Camino, and yes, even Chrome. Google very much does have a horse in that race, and I know – from many years of experience inside Google seeing their unfiltered opinions – that they absolutely do want Chrome to become the only horse in that race. Not because of some comically-evil secret council scheming at the heart of Mountain View, but because they culturally & corporately just don’t care about anyone else. Modern Google is just as paranoid, fearful, power-hungry, and ruthless as 90s-era Microsoft ever appeared to be – Google want control, and the browser today is as fundamental to control as operating systems ever were. Given all that, my fear is that there’s no longer a practical way for another browser to compete on merit with Chrome – anymore so than a third party app store can compete on iOS, for example. This assuredly won’t happen anytime soon by way of government intervention, given the current U.S. political circumstance, but it is conceivable that Google themselves would perform this surgical separation voluntarily, for the good of The Web. Sadly, I fear that’s unlikely in an era post-“Do no evil”.